Can Another Buyer Outbid You If Your Offer Is Accepted? Question: If a Seller Accepts Our Offer, Can Another Home Buyer Outbid Us? Answer: When we think of Salinas, "Me and Bobby McGee" comes to mind — which is probably before your time... "Looking for that home, and I hope he finds it." The thing is, Sleepless in Salinas, if this was a regular transaction, you'd have recourse against a seller who tried to slip away. But because this is a short sale, there is cause for concern over your offer and being outbid. Laws vary from state to state. So, what's true in Arizona might not be true for real estate in New Jersey. The first place to look is in your purchase contract. Almost everything that governs your transaction will be contained in the dozen or so pages you signed with the seller. 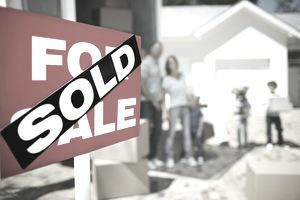 Generally, many short sales will be further defined by a document called a short sale addendum. The SSA is used to protect sellers and buyers in a short sale transaction. It modifies the purchase contract. Seller accepts offer and signs it. Executed offer delivered to buyer. Executed offer delivered to seller. The time period all parties agree to wait for short sale approval. How many offers are sent to the bank. Whether the seller needs to inform the buyers if other offers are sent to the bank. Acceptance of the offer happens when confirmation occurs. The contract dictates who is to receive the contract for confirmation. In California, for example, our contracts allow either the agent or the buyer to confirm receipt, depending on whose name is entered on the signature page. Some agents forget to put their name on that page, so then the offer must be confirmed by the buyer, which adds additional time. For the most part, a seller can sell only to one buyer. The seller cannot agree to sell to multiple competing buyers at the same time. Moreover, the seller generally cannot cancel your contract, if you are in compliance with the contract, simply because the seller may receive a better offer from another buyer. But there are ways to induce you to cancel your own contract. One of those ways is for the seller to send a second offer, a back-up offer, to the bank that is higher than your offer. Because the bank might ask which offer the seller would like the bank to accept. In that instance, the seller might point to the second offer. If your offer is contingent on bank approval, you could lose your offer to the buyer who overbid you. It is rare that this happens, but it can happen. Another buyer can also send an offer directly to the bank and bypass the listing agent and the seller all together. Again, rare, but a buyer could do it. For protection, short sale buyers are advised to get legal advice.